Homecoming so far has been a hit!!! Twin day caused a number of people to see double, triple, and sometimes even a whole entire department ( science teachers), of look alikes. 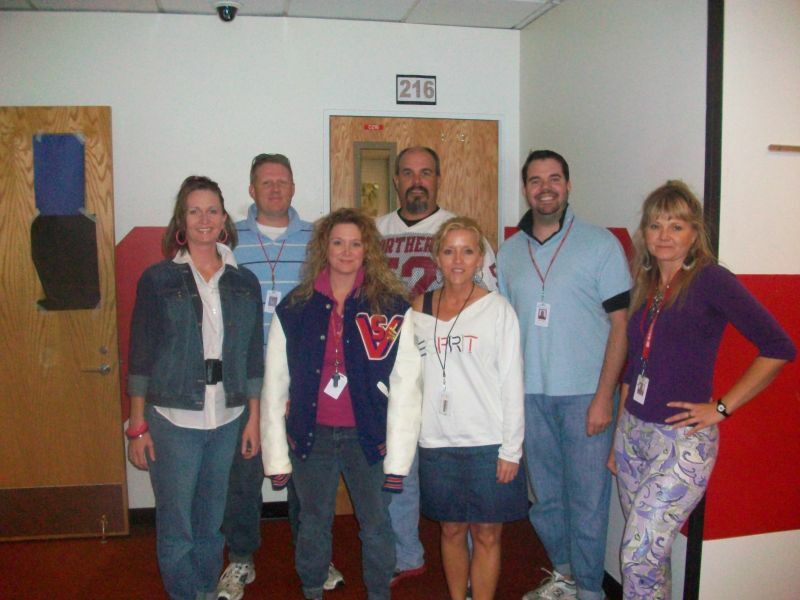 With the success of twin day on Monday, 80’s retro/Neon day was sure to get some attention. By the looks of it everyone went all out, raiding the parents closets and buying as much neon as possible, the school felt like a bunch of side ponytailed and double polo shirted kids from the 80’s. Way to go! (Don’t forget to sign up in the activities office if you dress up for the opportunity to win a prize). Another highlight of Monday was the Coronation that was held in the gym. A group of kids from the Central High School Drama Club helped with the set up of the amazing Roman inspired set. From the arches, to the chariot, this version of Rome WAS built in a day, and torn down in an hour. The main part of coronation was the crowning of the king and queen, this years winners were seniors Brody Heid and Kelsy Koerlin. After the crowning of the king and queen the crowd was dismissed and they all scattered out to the north end parking lot to watch the symbolic burning of the “W”–which stands for Sioux Falls Washington, Friday’s football opponent. Now we wait to see what the rest of the week has in store for us, from old people walking around the school on Wednesday, to togas and a sea of class colors on Thursday, but the most anticipated is the Homecoming Football game on Friday and the dance to follow it. GO BIG RED! Previous Previous post: Need a tip for homecoming dress up?